This is the third book in Heather MacQuarrie’s trilogy of love and deception in a modern, extended family. In Blood Is Thicker we return to the lives of Matthew and his estranged wife, Suzy and to the on/off relationship of Neal and Charlotte. There are still repercussions from the complicated parentage of their families. We meet a new character, Georgia, who brings love and happiness back into Matthew’s life, although she also proves to be a catalyst for dramatic changes in the lives of several others. The story is told, partly in the form of emails, giving us the perspective of several different protagonists as well as clarifying events for the reader. All the threads of the lives of other characters from the previous book are drawn together as they face up to their mistakes and find love and friendship. In this novel, Matthew, Neal and Ralph face a dangerous situation together, which helps to unite them, until a secret is revealed which could ruin everything. If you like reading about the many difficulties that can face men and women in contemporary society but which can be worked out with understanding and consideration then you will enjoy this feel-good trilogy. This novel begins with the wedding of Daniel and Tina after they have been together in a tempestuous relationship for 25 years. It is witnessed by the whole local community including old school-friends Linda and Victoria whose own marriages are disintegrating. From the moment that Daniel walks into the church in old torn jeans, covered in plaster, it looks as if this marriage is also on the rocks but is it just the curse of the hotel which Daniel has just taken over? Cefn Cyfarwydd, Daniel’s hotel, is in a beautiful setting by a lake and he has restored it sympathetically. Jan Ruth’s description made me long to book in for the weekend and the food sounded delicious too! But Tina hates being buried “in the middle of nowhere” and she has health worries which she is hiding from Daniel. Linda’s husband has left her for a young Polish girl and Victoria’s respectable husband, Max, is a sadistic bully, behind closed doors. The stage is set for life changing decisions by all the main characters, complicated by Daniel’s extended dysfunctional family, who provide humour and tragedy within the storyline. It would seem as though there can be no fairy-tale ending but the denouement is eminently satisfying. Another page-turner by Jan Ruth about passionate, real people. If any book can convert me into a horse lover it will be this one. I am still frightened of horses but I now have an idea of the empathy experienced by some people with special horses. Midnight Sky has a magical quality but she is a damaged horse, desperately in need of a sensitive horse whisperer. James Morgan-Jones, with his sad green eyes, is the one person who can restore her confidence, even though he is incapable of recovering any sort of personal life since the tragic death of his wife Carys, two years previously. Laura Brown is an efficient, organised interior designer living in Chester with partner Simon. They run Dragon Designs, improving run-down houses, but their life together is often upset by Simon’s demanding wife Alice and his children. Disturbed by a particularly distressing row, Laura sets out visit her older sister Maggie in North Wales. Maggie, married to Pete for many years, has a busy life looking after 10-year-old, Ellie and her challenging 17-year-old, Jess. Even Pete is beginning to cause her worries. All these characters, and more, are stirred together at the riding stables where James gives Ellie lessons. Despite their initial antipathy, James and Laura are thrown together in a snowstorm but this does not help them to solve their sadness about Carys and Simon. Alongside the angst of personal drama there is also humour in this mature, contemporary story and it really is a page turner. A conclusion is reached but now I can’t wait to move onto the following book, Palomino Sky. 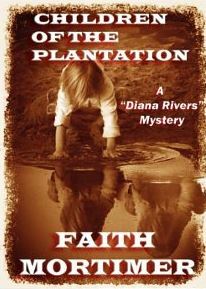 I appear to be reading the Diana Rivers Mysteries in the wrong order since I started with number two and have just read number six but that doesn’t matter at all as each book is complete in itself with the mystery solved by novelist “Diana Rivers”. Lady Eleanor’s diary introduce her as a dreamy, unhappy woman in the early 1950s travelling back to England on her own, leaving her two daughters, without telling her husband that she is pregnant. During the voyage she meets forthright, independent Hermione, who is to become a major part of Eleanor’s life. Diana moves on to the diary of Alex in the 1960s when he, his mother and Aunt Hermione are back in Malaya with Sir Winston and his two daughters Emma and Felicity. Alex has an awkward relationship with siblings Emma and Felicity but regularly goes out riding with them. Sir Winston trusts the running of the rubber estate to a young local man, Paul Tan, whom Emma and Felicity find attractive despite his being outside their social circle. Alex spies on everyone including Paul and his sisters but as Paul trains him to run the estate they become close. The diaries are written as narrative which seems strange but allows the reader to become fully involved. As Diana Rivers is pregnant she does not take an active part in investigating the disaster which occurred in the Chalcot household but realising that she is, “waking a sleeping dragon,” she figures out something of what has happened. I was just beginning to guess the twist at the end as I reached it, but it was a successful surprise, as all the clues were subtle. I very much enjoyed this step back into mid-20th century history and the atmosphere Faith has created is reminiscent of L.P. Hartley’s “The Go-Between”. Her description of the tropical environment reminded me of travelling through Malaya to visit Fraser’s Hill when I was a child in the 1960s. This peaceful setting contrasts well with the undercurrent of fear and danger both in local politics and the story’s plot. The Hour Before Dawn is the story of two generations which is told in the details of traumatic events in 1976 and the present day. 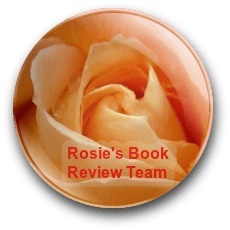 Unusually there are two heroines in this novel, Fleur Montrose and her estranged daughter Nikki. The two women have been torn apart by a mysterious tragedy in Malaysia when Nikki was 5, as well as the early loss of Fleur’s husband, Nikki’s father David. The story also goes back to 1966 when 15 year old, Fleur met army officer, David in Singapore. 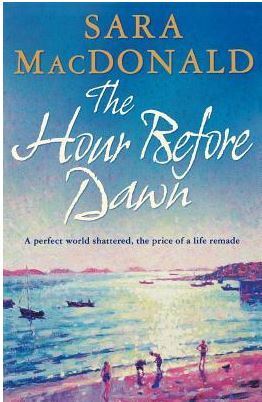 For me, having lived in Singapore at this time, this part of the tale didn’t ring true, but later scenes, particularly of Malaysia, reminded me of the sights and smells and the contrast between busy towns and the peace of the beach houses at Port Dickson. Fleur’s flawed relationship, both with her mother and her daughter seem to stem from her selfish, single-minded behaviour but later it becomes evident that she has concealed a troubling secret to protect her family. In addition they have to cope with the mysterious disappearance of Nikki’s twin sister Saffie in 1976 and Fleur’s remarriage after her first husband’s death. Now a widow once more and writing a dissertation as a mature student, Fleur sets out for New Zealand on a trail of Friedensreich Hundertwasser’s architecture. She intends to stay with her daughter Nikki, who is expecting a baby with partner Jack. But Fleur does not turn up. She has disappeared while stopping over at Singapore. Reluctantly Nikki and Jack set out to look for Fleur. In Singapore they meet Inspector Mockter who discovers that Fleur has taken a train and bus to Port Dickson in Malaysia, the place where Saffie was last seen. In the course of the story we eventually come to understand what happened to Saffie and why Fleur behaved oddly. Inspector Mockter has a special rapport with Nikki which helps her to cope with an impossible situation, while heavily pregnant. Sara MacDonald is a talented writer. She deals with complex family relationships and their breakdown very effectively. There is a strong sense of place in Port Dickson and the Bay of Islands in New Zealand. There are a few editing issues, especially with the spelling of places in Singapore but I am just being picky since they don’t affect the content of a tremendous story of loss and hope.